Julian Voigt Aerial & Satellite Services cover the Longridge Preston region for all any Television Aerial & Satellite related enquiries issues or requirements. jcvaerials.com would like you to know that all the Aerials & Cables we install are High Quality and RDI approved. The aerials and brackets are galvanised and come with guarantees. The cable we use is high quality screened digital coaxial cable .Every Aerial or satellite we fit gets fully tested using the latest in signal testing equipment. Terrestrial Digital Aerial installations : Are you having problems with your reception from the Aerial. 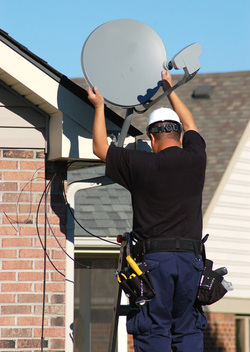 Aerials have a shelf life, and after being exposed to the elements for a number of years, they will start to corrode and the signal being sent from it through an old cable can be weakened resulting in poor and intermittent picture & sound. Want to know more about getting Freeview in the Longridge area, then speak to Julian Voigt Aerial & Satellite, a fully qualified and industry approved Freeview Digital TV Aerial installer in Longridge Preston. Satellite Dish installations for Longridge, Preston & the surrounding areas. 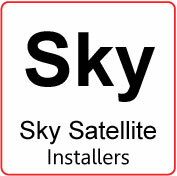 jcvaerials.com/longridge-aerial-and-satellite-tv-installations are fully qualified and certified independent SKY installers. 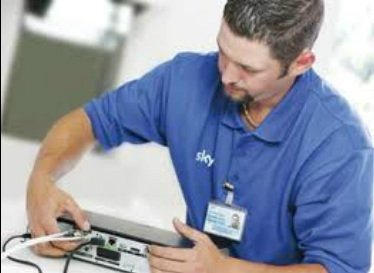 So for all sky related enquiries, such as SKY+ SKY HD, SKY Multi room etc we are more the qualified to provide you with the right advice and service. Barnacre-with-Bonds, Barton, Bilsborrow, Bonds, Bowgreave, Broughton, Calder Vale, Chipping, Garstang, Goosnargh, Great Eccleston, Little Eccleston, Longridge, Myerscough, Oakenclough, Pilling,Ribchester, St Michael's On Wyre, Scorton, Whittingham. Aerial & Satellite Installers for Longridge Preston. Longridge Aerial Installations - Aerial Fitter Longridge, Preston. Longridge Satellite Installations - Aerials Fitted Longridge Preston - Sky Dishes Fitted - Freeview Longridge, Preston - Freesat longridge - Digital Aerials longridge - TV Aerials Supplied and Fitted - Satellite Dish - Satellite Dish installer longridge, Preston - SKY Dish Supplied and Fitted - Aerial Fitter Longridge - Aerial Installer Longridge, Preston - Satellite Services - TV Brackets fitted - Satellite Dish for Freesat - Digital TV Satellite Engineer - Digital Aerial installations Longridge.